In his 1891 A.I.E.E. lecture at Columbia College, Nikola Tesla said in pertinent part (emphasis mine): "What is electricity, and what is magnetism? "...We are now confident that electric and magnetic phenomena are attributable to the ether, and we are perhaps justified in saying that the effects of static electricity are effects of ether in motion". "...we may speak of electricity or of an electric condition, state or effect". "...we must distinguish two such effects, opposite in character neutralizing each other". "...for in a medium of the properties of the ether, we cannot possibly exert a strain, or produce a displacement or motion of any kind, without causing in the surrounding medium an equivalent and opposite effect." "...its condition determines the positive and negative character." "We know that it acts like an incompressible fluid;" "...the electro-magnetic theory of light and all facts observed teach us that electric and ether phenomena are identical." 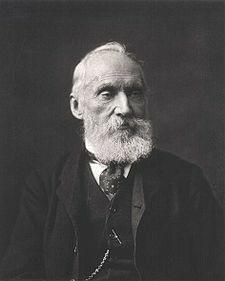 "The puzzling behavior of the ether as a solid to waves of light and heat, and as a fluid to the motion of bodies through it, is certainly explained in the most natural and satisfactory manner by assuming it to be in motion, as Sir William Thomson has suggested." "Nor can anyone prove that there are transverse ether waves emitted from an alternate current machine; to such slow disturbances, the ether, if at rest, may behave as a true fluid." In his statements, Nikola Tesla was balancing the various arguments in preparation for his decision: "...Electricity, therefore, cannot be called ether in the broad sense of the term; but nothing would seem to stand in the way of calling electricity ether associated with matter, or bound ether; or, in other words, that the so-called static charge of the molecule is ether associated in some way with the molecule." "...It cannot differ in density, ether being incompressible: it must, therefore, be under some strain or in motion, and the latter is the most probable." 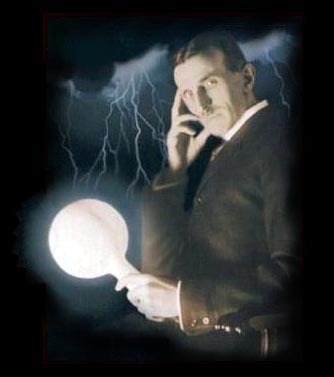 Nikola Tesla therefore believed in an ether which was in motion relative to earth, because the earth is in motion. The thing which Nikola Tesla had realized, was that ether possesses electric charges which are deposited on or contained within atoms. In supporting the "dynamic" ether concept, he was supporting the "stationary ether" concept, since the "motion" he referred to was "apparent" motion of the ether perceived by an observer on earth, relative to a stationary ether. The importance of cosmic motion to the electromagnetic effects of static charges was brought up by Nikola Tesla in his lecture: "About fifteen years ago, Professor Rowland demonstrated a most interesting and important fact, namely, that a static charge carried around produces the effects of an electric current." "...and conceiving the electrostatically charged molecules in motion, this experimental fact gives us a fair idea of magnetism. We can conceive lines or tubes of force which physically exist, being formed of rows of directed moving molecules; we can see that these lines must be closed, that they must tend to shorten and expand, etc. It likewise explains in a reasonable way, the most puzzling phenomenon of all, permanent magnetism, and, in general, has all the beauties of the Ampere theory without possessing the vital defect of the same, namely, the assumption of molecular currents. Without enlarging further upon the subject, I would say, that I look upon all electrostatic, current and magnetic phenomena as being due to electrostatic molecular forces." In these statements, Nikola Tesla showed he was aware that any "stationary" locale on earth is actually in fantastic motion ("70,000 mph"). The electrostatic charges "carried around" are currents between atoms and the ether, which produce magnetism. The phenomena of 'permanent magnetism' or 'cosmically induced' magnetism are apparently due to electrostatic charges 'carried around' by cosmic motion, in the universal ether field. Since no one can hold an atom or molecule perfectly still - because it is in fantastic motion - all atoms and molecules carry currents producing magnetic fields. Since a magnetic field is the product of a current, no one can produce a magnetic field without electricity, moving through or along a conductor, or as electrostatic charges in local or cosmic motion."